All 16 Wish coupons have been verified and tested today! There are loads of sellers that offer the opportunity to ship their purchases at no cost. It may require a lot of digging to find these sellers, but the few dollars saved is always worth it. It is no secret that you can score some of the best shopping deals ever on Wish. However, finding the right deal isn’t always easy. A lot of sellers offer similar products, and it’s up to you to dig deep enough to find the best deals. Aside from the best deals, there are other ways to save money at Wish. 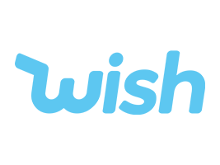 How to get a Wish promo code? We don’t have to tell you that Wish is known for offering the best prices. Therefore by shopping at Wish, you will save money anyway. Precisely for this reason, Wish coupon codes are often difficult to find. Our advice? Make sure you keep an eye on this page, especially during the end of the seasons, because we can guarantee you that as soon as a code is available, you will have it here first. Save big at Wish by earning points. Go to the Rewards section in your account to see your balance. The next step is to simply exchange the points for coupons by clicking on the Redeem tab. Your Wish coupon will now be applied on your next purchase. Blitz Buy is designed to help you shop a select number of goods on Wish at a discount. Did you know that you can get free gifts from Wish? Here’s how it works. Register on Wish mobile app using a device that has never received a free gift and check out immediately. You may also have to provide payment for shipping.